Throughout the course of civilisation, humankind has always faced challenges from its environment; however, in recent decades these challenges have accelerated, exponentially increasing the risk of overall destruction. While we constantly change and improve our own ways of living through technological development, today we face a greater responsibility to protect the interdependencies that hold our ecosystems together. Since the beginning of time, politics and economics have been concerned with forward progression and human survival; this is now beginning to evolve into a search for new and experimental plans for sustainability, enabling the survival of both human and non-human beings. Projecting into the post-human world, artists are specially positioned to imagine and invent methods by which we can maintain biodiversity and strengthen the fragile interdependence among living organisms. This topic is particularly relevant to the site of the Taipei Biennial, located in Taiwan, an island in Asia. Since the transition from agricultural to industrial society, Asia has become the world’s factory and has broadly sacrificed care for the environment in order to sustain economic development. Like many developing countries in Asia, Taiwan faces severe environmental problems, due to industrialisation, urban development and global economic pressure. With this in mind, Post-Nature—A Museum as an Ecosystem combines the notion of ecosystemic survival and the structure of interdependency in its very form. Here, the museum and the city that surrounds it are recognised as interlocking structures. 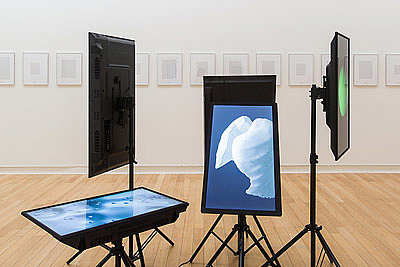 The exhibition will explore, illustrate and investigate the different modes of connectivity and reciprocal dependency that keep a system alive. In this biennial, all artistic, theoretical, social and political elements will contribute to an overarching view of how an ecosystem is generated, and how it regenerates, through collaboration among parts and adaptation to change. The idea of engaging with the museum as an ecosystem can be deconstructed into three key levels: at its most basic, the museum is a building which can optimise its use of energy and manage its relationship to immediate environmental issues; it is also a social actor, which can engage with and become integrated in its local community and culture; and on a global level, the museum can work to promote interdependency and collaborative efforts between divergent fields and institutions alike. It is the assertion of the curators of Post-Nature—A Museum as an Ecosystem that, in the spirit of the avant-garde, museums are well placed to offer new models and holistic ways to rethink their systemic alignment. To support this ambition, Post-Nature—A Museum as an Ecosystem will commission new artworks and present existing works, integrated with media and approaches from other disciplines, such as documentary film, the sciences, urban planning, architecture, pedagogy and activism. The biennial will also generate new knowledge through workshops, events and research forums. Engaging in an institutional critique and forming innovative solutions to new and developing problems through its very structure, this biennial aims to investigate how the museum as an institution exists as, and within, a social, cultural, economic and political ecosystem.